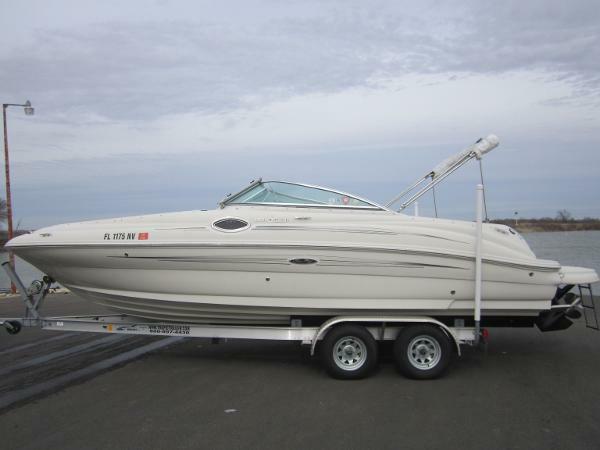 2008 Sea Ray 240 Sundeck Only 273 hours! 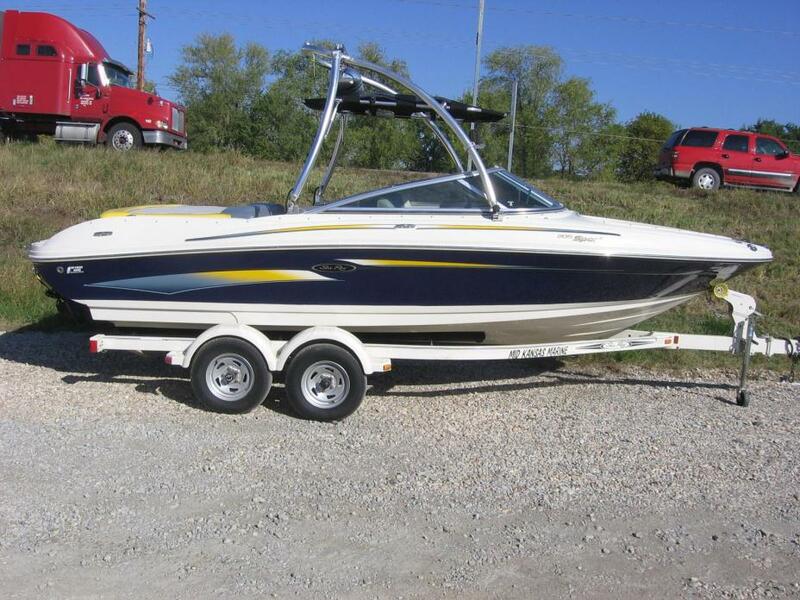 There's room for all your friends - and all their toys - on this handsome 240 Sundeck. You can entertain in style, thanks to the cockpit entertainment center and extended swim platform. Additional features include Sunbrella bimini top, AM/FM/CD player with digital remote, and large head compartment with optional VacuFlush head. 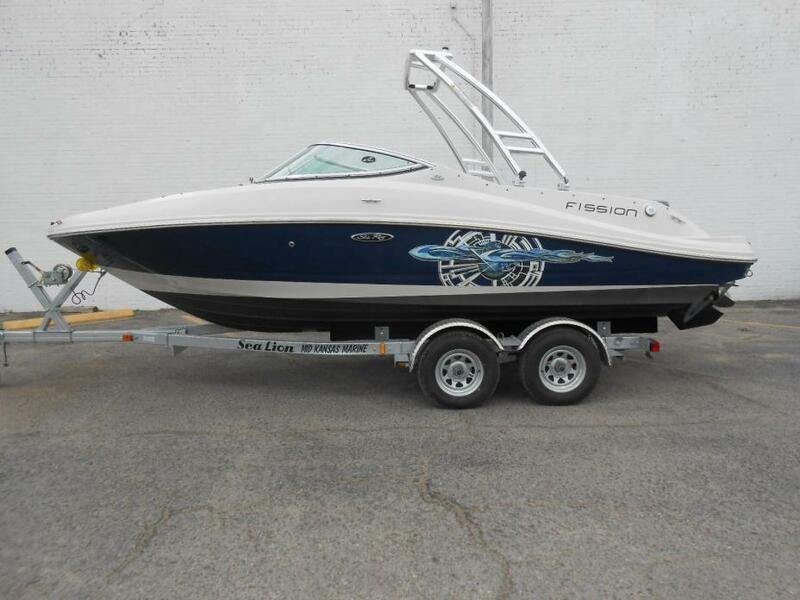 2007 Sea Ray 230 Select, 2007 Sea Ray 230 Select equipped with a bimini top, custom cover, wakeboard tower with speakers and wakeboard rack, 2-8' polk subs, 4-6.5' speakers, dual battery with switch, stereo remotes on the dash and transom, large sundeck with flip up seat, extended swim platform, 10 person capacity, and a tandem axle trailer with brakes. 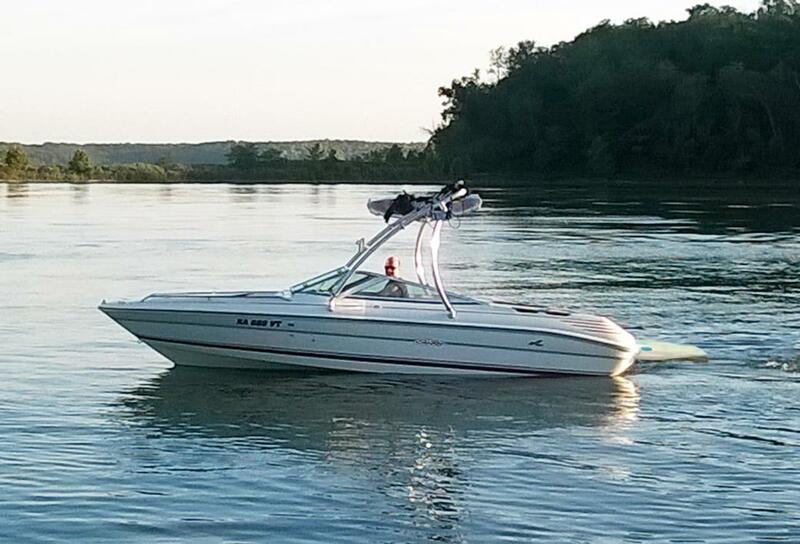 The boat is powered by a Mercruiser 350 MAG 300 horsepower engine with a Bravo Three outdrive. Please call before coming to view any inventory, as their locations change frequently. 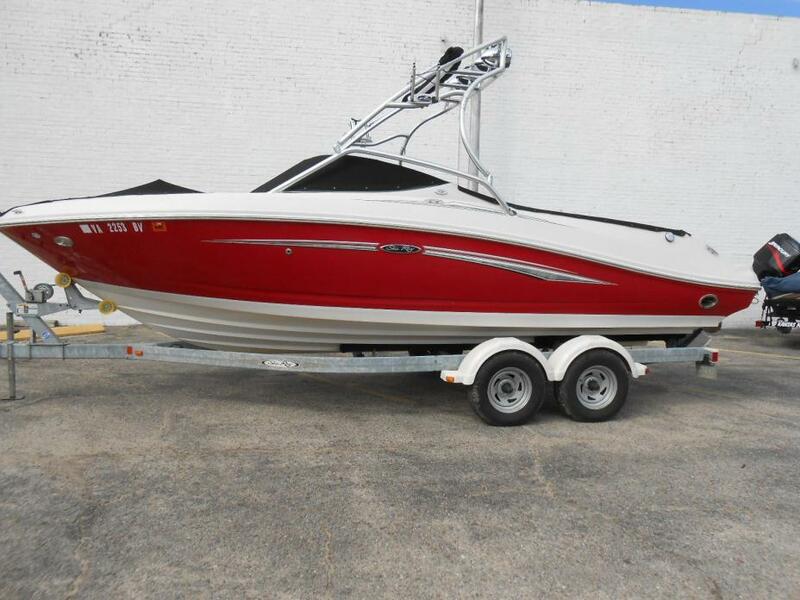 2008 Sea Ray 210 Fission, 2008 Sea Ray 210 FZN equipped with Mercruiser 350 MAG Bravo Three twin prop inboard/outboard, 8 person capacity, snap cover, extended swim platform, snap carpet, bolster seating, wakeboard tower, depth finder, radio, 4 speakers, automatic fire extinguisher, extendable sundeck, and tandem axle trailer. Please call before coming to view as out inventory changes location frequently. 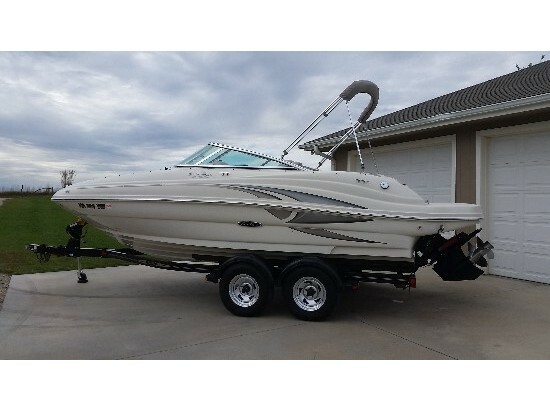 2006 Sea Ray 205 Sport, 2006 Sea Ray 205 Sport equipped with Mercruiser 5.0 Alpha One Gen II inboard/outboard, 8 person capacitry, bimini top, snap cover, snap in carpet, rear ladder, tower w/ speakers and lights, AM/FM stereo, 6 speakers, cooler, tower bimini and tandem axle trailer with swing tongue and brakes. ONLY 99 HOURS! Please call before coming to view as our inventory changes location frequently.